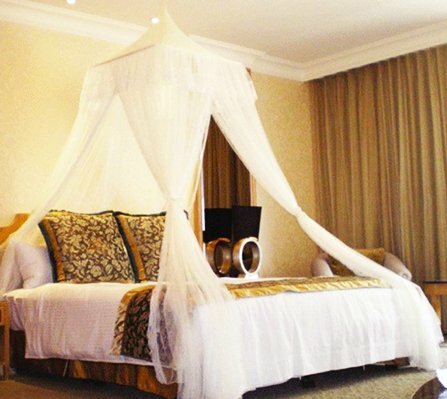 Adding a canopy to a bed gives a bedroom a touch of class and also can make it a little romantic for couples. The only problem people you have is that a canopy bed can sometimes cost quite a lot of money and therefore they end up just buying a normal bed. But this doesn’t have to be the case as you can learn how to make a canopy bed yourself for very little money and it will still have the same affect and look. Wh at you will need to do is choose what type of canopy you want so going online and making sure you buy a fabric and design that suits your room and overall look you want to go for This really is going to set the tone and how everything fits in together with the bed. You can choose from different materials like cotton, lace, muslin, satin, silk, cheesecloth, and much more. Next you should check your ceiling because this is where you be attaching the material so it is important that you find out where the problems are and if it is tough enough to drape the canopy down from. You can buy three different types of simple canopies online that use hooks as attachments this makes it very easy to fit. You can get a style that has four corners, or one hook at each end of the bed from top to bottom, or a style that is uses one central hook and drapes down. Once you have chosen the style you want all you need to do is screw the hooks into their various place s according to the fitment of your canopy and simply hook it on. 1) Make sure that you have measured the length from the ceiling to the floor so that you do not buy a canopy that is either too big or too small. 2) Measure the length between each end of your bed to ensure that this is replicated for the holes in the ceiling. It is advisable to use a leveller so that you have straight lines. 3) When you drill the hole in the wall ensure that you use a wall plug so that the hook is firmly in place and will not fall out. 4) Next you can attach your canopy to the hooks and marvel in the finished results. 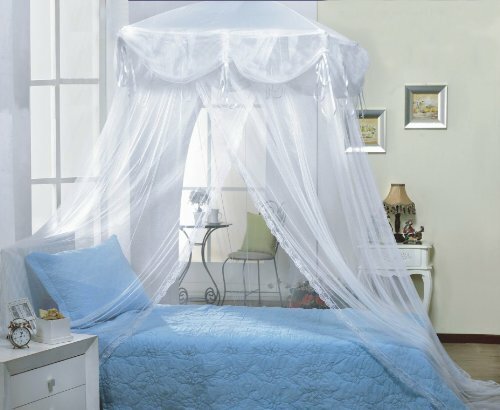 A bed canopy can be extremely useful especially if you live in a hot country to protect you aga inst mosquitoes. They can also leave you with a warm and cosy feeling when you are going to bed. A canopy that is installed correctly can finish off the design of a bedroom giving it a very classy feel. These tips will teach you how to make a canopy bed for very little money but always make sure that you use the right ones for us and check that you are not drilling in a wall with pipes or electric wires behind it.